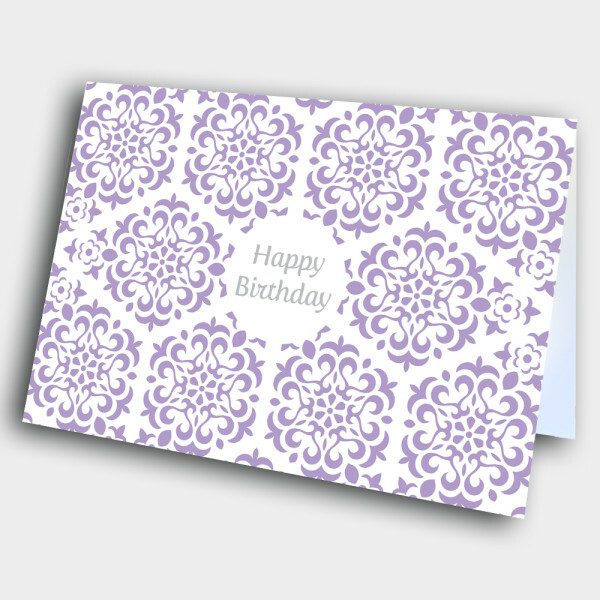 An elegant, flowering birthday card to bring some beauty into a special day. 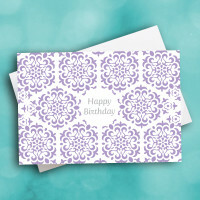 This classy, unique birthday card is perfect for any professional setting. 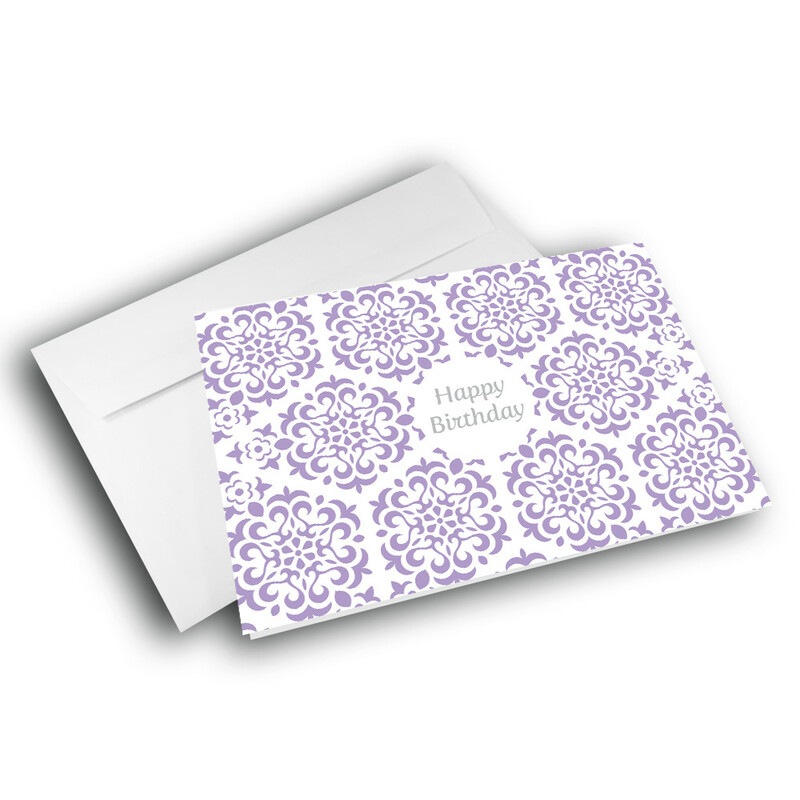 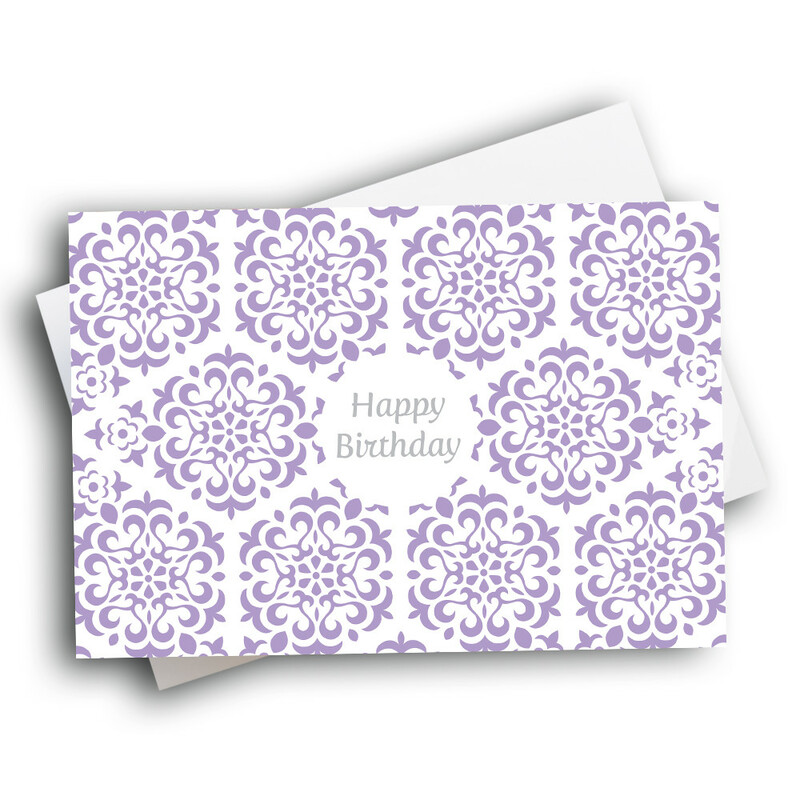 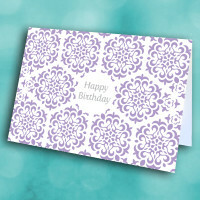 The front is covered in an intricate, pale-purple design, arranged in diamonds around the elegant birthday greeting in the center. 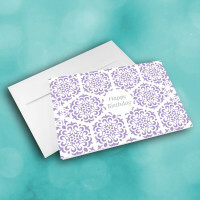 Customize the message inside to make this a personalized happy birthday card.